Travel insurance – a very reliable and recommended way to ensure happy traveling. It is a rather matured concept in west, however gaining momentum now in India as well. Traveling doesn’t always go as per our planning, many times mishaps such as – loss of baggage or important documents such as passport, etc., and accident, unscheduled change in bookings, etc. tend to happen. Now not only are these affairs big spoilers in holidays, these also end up digging a further deep hole in pockets as well. You may end up paying double, or out of the way to get settled. In scenarios such as these, travel insurance proves as a great comfort. But here’s more – not only loss of baggage or booking, travel insurance also covers health issues. Different insurance companies may have slightly varying age ranges, but on an average, if the age of the traveler is between 6 months to 75 years, the individual is eligible for a travel insurance cover. However, it is needless to say that there are many other conditions also to be fulfilled. 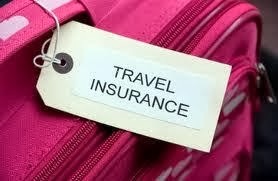 Travel insurance is another convenience at your expense. To safeguard your dear ones, yourself & your belongings and enjoy a carefree trip, it’s highly recommended as well.